Junk food describes something you can eat that has very little nutritional value, but has high calories regardless. Junk food is something that should be limited in your diet, because it does more harm than good for your body. On the other hand, it’s delicious, and so many people will choose to eat it, and manufacturers will continue to create it. Understanding what junk food can do to your body can help you make an informed decision about whether you should eat it or not. When you eat junk food, you are doing things to your body that aren’t healthy at all. In fact, some of the biggest health problems in the world can be attributed to junk food. Here are just a few of the most common side effects junk food can create. We are getting bigger and bigger, and junk food might be to blame. The additional calories that come from fast food are one of the reasons for so many people being overweight. In addition, most junk food is very cheap, which can be appealing to those on a budget. When you eat sugary foods, your insulin levels go up. Over time, those sustained high insulin levels can lead insulin resistance, which is a precursor to type 2 diabetes. This is a growing trend: the number of those with diabetes continues to skyrocket, and the number of people with pre-diabetes is even higher. Fresh fruits and veggies, vitamins, minerals, plenty of water and lean meats are great recipe for healthy eating. When you eat junk food or fast food, you aren’t getting much of those things, and you are getting a ton of fat, cholesterol, unhealthy fats like trans fats and saturated fats and more. This has been shown to lead to depression in those who consume high amounts of junk food. When food goes through significant processing, it can destroy the vitamins and minerals that were originally there. This happens with a great deal of junk food, so that those who eat too much of it can actually see their nutrition drop to a point where they are deficient in certain vitamins and minerals. High levels of sodium can lead to heart problems and circulatory issues. Junk food is loaded with sodium; in fact, one meal of junk food can give you a sodium intake that is equivalent to what you should have in a few days. The average American eats up to 10 times more salt per day than they should. Is it any wonder hypertension is a big problem? Saturated fats are a key ingredient of junk food, and that can lead to serious problems with the heart, including those that are associated with high cholesterol. High cholesterol levels can often linger, so even if you stop eating junk food, you are still dealing with a long-term problem. The lack of vegetables and fruits in fast food can lead to serious problems with your immune system, and that leads to more issues with colds, viruses and bacteria getting a foothold in your body. 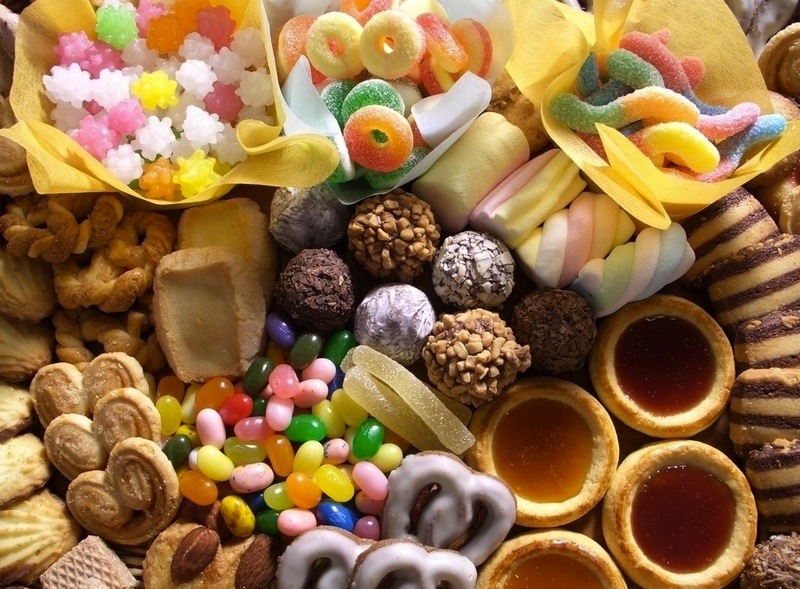 The high levels of sugar in junk food can lead to serious problems with tooth decay, including cavities from a very young age. Bones can be damaged by the lack of calcium in junk food. Look for healthier choices at your fast food restaurants. Rather than drink soda, ask for milk. Choose the healthier options on the menu, and patronize places that have a wide variety of offerings, such as fruit plates and veggie sides. Avoid certain ingredients such as sugar or high-fructose corn syrup. When you make a point of eliminating those ingredients, you will find that you are eating healthier foods. Avoid eating food in front of the television. You might tend to eat more when you do, and it can be easy to reach for something full of empty calories when all you want to do is sit down and relax. By avoiding eating and television at the same time, you can stay healthier. Fill up burgers with all the veggies that are offered, making for a tastier meal with fewer calories and plenty of good things to fill you up. Look for “low fat” and “low sugar or “sugar free” junk foods if you absolutely must eat these things. These help lower the fats and sugars you are putting into your body. Look to soups without cream as a healthy snack. Instead of having that big glass of soda for your break, have a small cup of hearty tomato soup. It will be much more filling and much more beneficial. When it comes to bread, look for whole wheat versions. “White” bread or those made with white flour can add unwanted carbs and sugars that contribute to obesity, diabetes and other issues. Keeping mind that cutting out junk food can be very difficult because your body is used to a certain taste. It will take time to get over the junk food habit, but by changing one step at a time, it can be done – and your body will be much happier for it.